Back-to-school can be a busy time, not just for parents and students, but for illnesses as well. 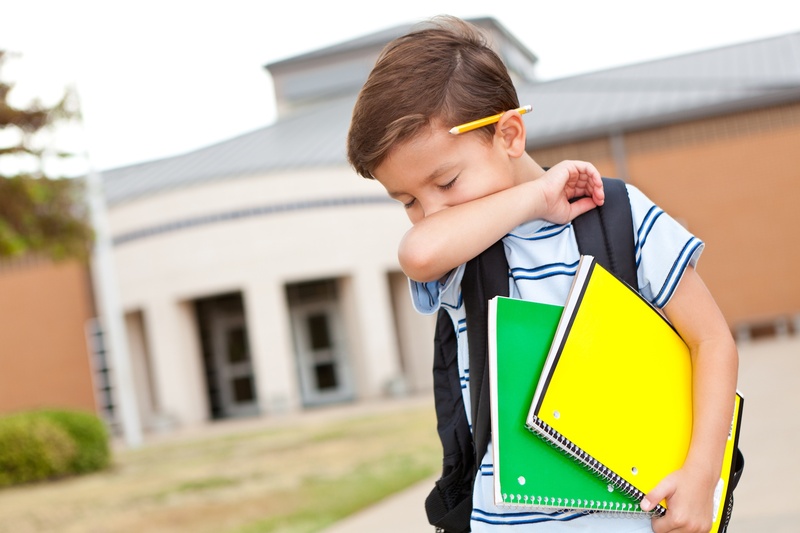 The close quarters of a school environment become a breeding ground for germs, all while seasonal allergens are in full swing. What can parents do to prepare their children before school begins? We've put together a quick guide to help parents make back-to-school season a little healthier. The best way to approach a new school year is to look at it as a fresh start. Take the opportunity to focus on your children's health before the school year begins, so they can be well-prepared for the coming year. Make sure your children are updated on all vaccination before school starts. These should include any necessary vaccines they may need for the new school year, as well as Gardasil, the vaccination against HPV, which can cause both cervical cancer and head and neck cancers. Flu vaccines are also highly recommended. The latest flu vaccines are provided by the Center for Disease Control and are designed to anticipate which flu strains are coming. Modern flu vaccines are no longer a live virus, meaning your child cannot contract the virus from the shot. Many pediatricians offer flu shot clinics. You can make an appointment for your children now. Schools can be a haven for illness. Flu, strep, the common cold, and other germs can thrive in the crowded environment. One of the best defenses against your children getting sick is to teach good hygiene habits. Stress the importance of handwashing, particularly before eating. If your child is sick or has a fever, do not send them to school. They will only spread the disease to others. Let them stay home. Fall Allergens: Fall can be a lively time for ragweed and other allergens. If your child is experiencing a runny nose, sneezing, itchy eyes, or other symptoms, think about their medical history. Could that cold or "bug" be seasonal allergies? If so, talk to your doctor about what you can do now to help mitigate the problem. Proactive care for fall allergies can be highly effective. 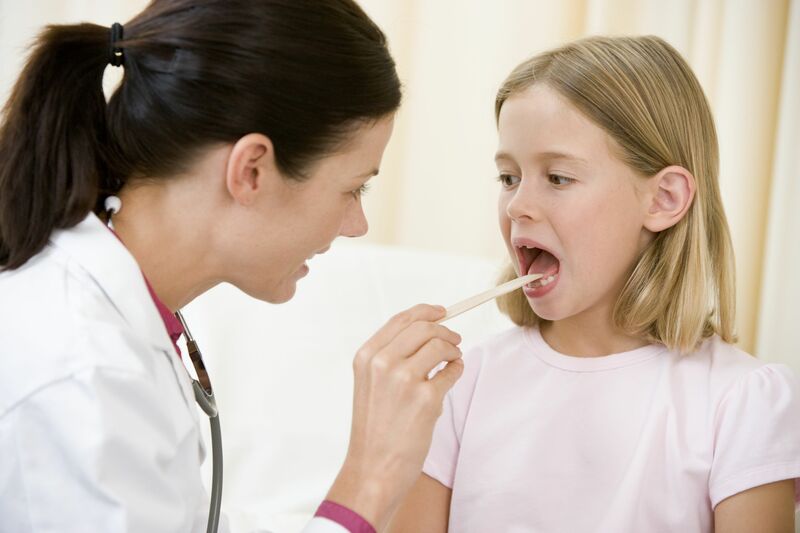 Strep Throat: Strep throat is a common problem during the school year. Although it's not as communicable as the flu, it can easily be transmitted from one student to another. One of the best ways to prevent it is to have your child wash his/her hands before each meal or snack. If your child does end up contracting strep throat several times a year for multiple years, they may be a candidate for having their tonsils removed. It's common for children who have their tonsils and/or adenoids removed to have much less trouble with strep throat afterward. Parents should keep in mind that recovery from tonsil surgery requires two weeks without school or traveling. For this reason, many parents elect to have tonsillectomies and adenoidectomies performed over the summer. Food and Bee Allergies: At the beginning of the school year, parents of children with any kind of severe allergies should examine their epi pens and make sure they are up to date and not expired. If you need a new epi pen, please contact your doctor. Because yellow jackets can be particularly aggressive in Richmond in the fall, it's important to make sure epinephrine pens are kept up-to-date at all times. If you have questions about allergies, seasonal illnesses, or hygiene habits, call your doctor. If you need an appointment with an ENT, contact Virginia ENT today to schedule a consultation.